In our adolescent and young adult inpatient program, our treatment team provides 24-hour in-hospital care dedicated solely to the treatment of eating disorders. Our program is small and focused. We take only 6 patients at a time. In order to provide optimal care, we treat adolescents and young adults between approximately 13-25 years of age. 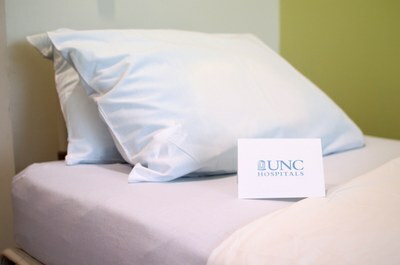 Each patient receives attentive and personalized care from our expert clinicians. In our structured and supportive environment, patients are guided at every step through recovery. To learn more about the Inpatient Program, please contact our intake coordinator, Laurie Gardner, at 984-974-3834. For admission, please complete an intake form and fax it to (984) 974-3779. You can recover from an eating disorder and we can help.